We are engaged in offering high quality Pet Containers in the international markets. The Pet Containers offered by us are made using superior grade GMP material ensuring their long life and high strength. We provide these Pet Containers in various capacities like 10ml to 6 liters. 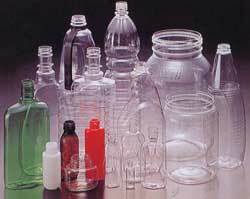 10 ml â�� 6 litres capacity PET bottles / Jars of various customized design by single / 2 stage process having GMP and class 1,00,000.